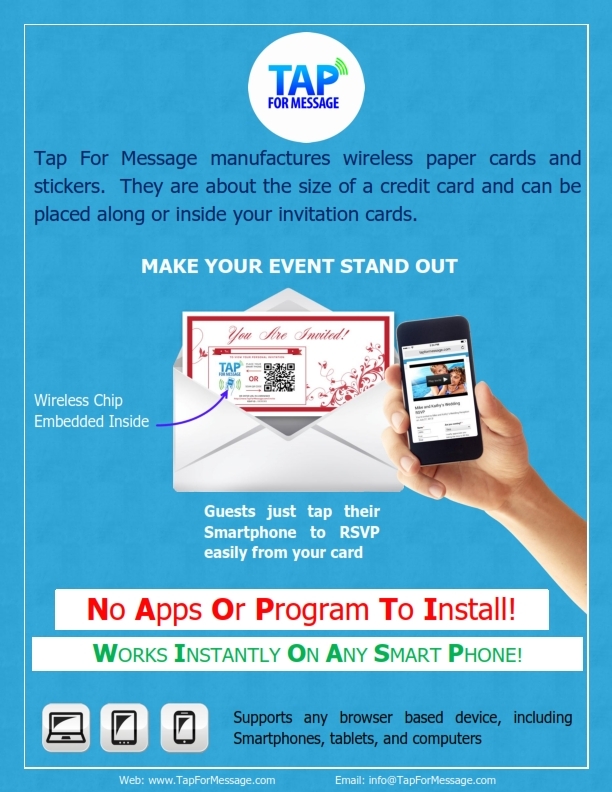 Tap For Message is a technology company in the Event Management space that manufactures wireless NFC Invitation cards for weddings, corporate events or just about any occasion. These new, innovative physical invitation cards not only have a personal video attached, but can also collect RSVP information. I recently used Tap for Message on a client’s custom Bar Mitzvah invitation and the response from my client and their guests was overwhelming! I do a lot of custom, whimsical invitations and using Tap for Message put this one totally over the top. Traditional invitation cards are now about to go through a big change thanks to a new product launch from Tap For Message. 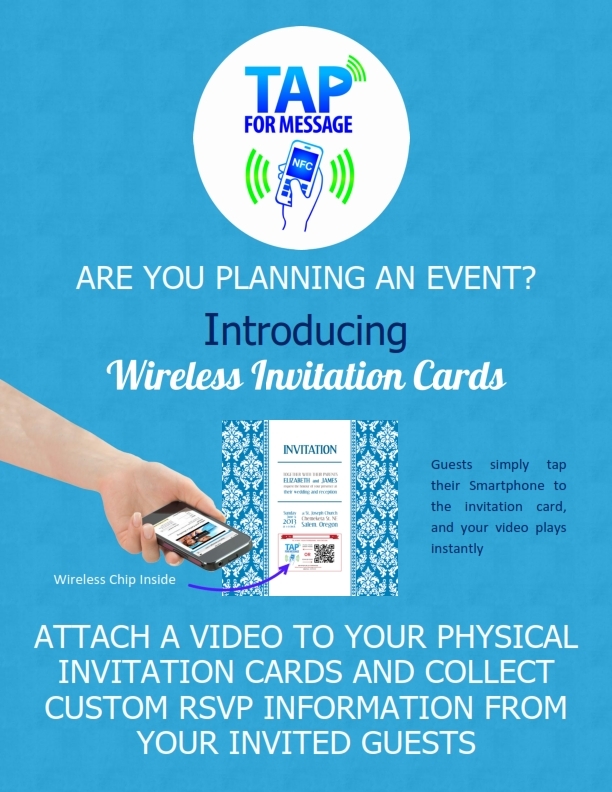 Their patent pending wireless video invitation cards now allow any physical invitation to attach a video along with event related content and collect RSVP information from invited guests. CEO Kadeer Beg says “Traditionally collecting RSVP information from invitees has been difficult for hosts, now it can be collected live from a physical invitation and summarized in a dashboard for them". Tap For Message cards are invoked either by a wireless NFC tap, QR Code scan or by entering the printed URL in any browser. In other words Tap For Message cards work with any smartphone, tablet or computer. 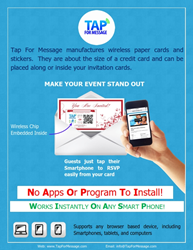 Tap For Message video invitation cards come in a pack of 50 for $299.50 US. Multiple invitation packs can be linked to the same event. 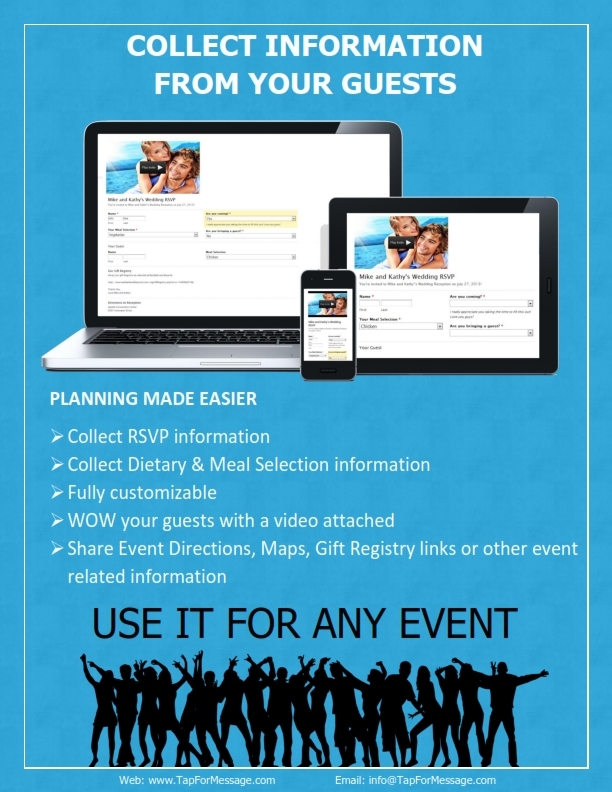 Tap For Message is partnering with selected event planners that are offering clients innovative solutions using Tap For Message products. Event Management companies interested are encouraged to contact them directly from their website. Skies the limit when it comes to the creativity and uniqueness that can be brought to an invitation. 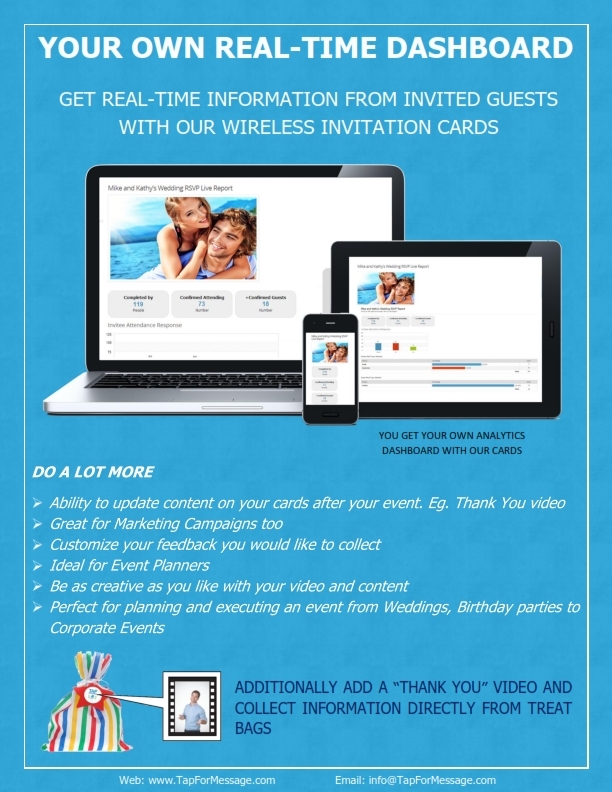 Tap For Message invitation cards can hold any video or content for event planners and marketers. The video invitation stickers and paper cards are now available at http://www.TapForMessage.com.